Meadowlark Jewellery’s newly updated Ceremonial collection. Images supplied. 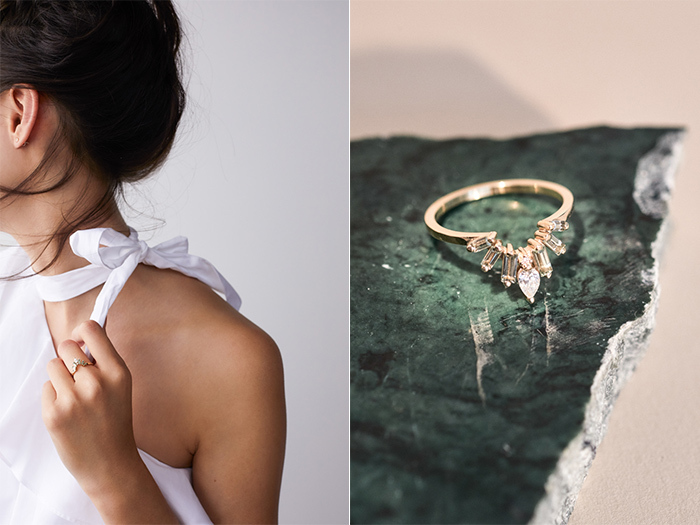 Meadowlark Jewellery have just added a new range of beautiful pieces to their stunning Ceremonial collection which is perfect for special occasions, engagements and weddings. 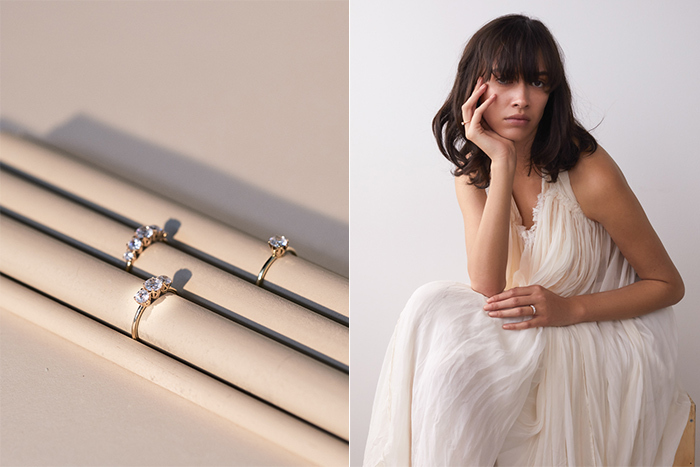 The brand are well known for their elegant designs that have winsome details and this new offering features 19 new rings in their inimitable style. The brand have always played by their own rules and embraced an aesthetic which is both modern and vintage inspired while maintaining a unique signature style. 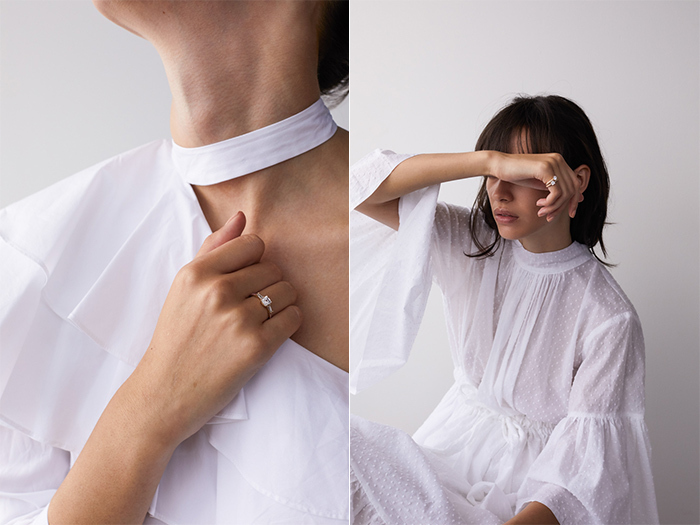 A respect for individuality is at the heart of Meadowlark and the brand make each piece by hand in their Auckland studio so each one is comfortable, customisable and available in a wide range of sizes and price-points. 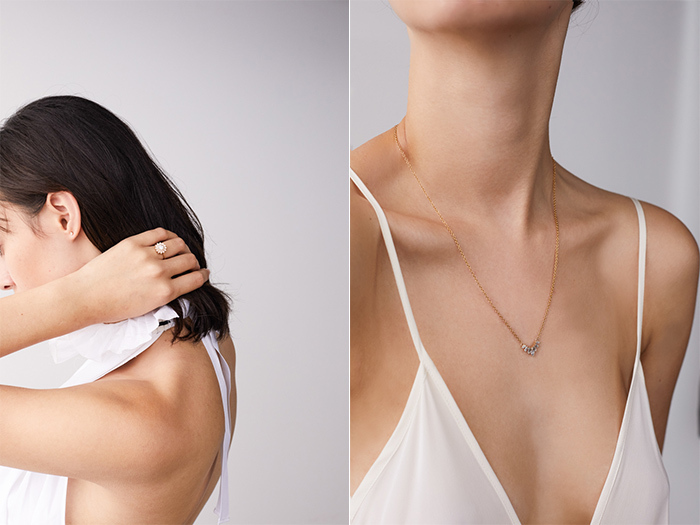 The initial iteration of Ceremonial was released in 2013 and has been so well received that Meadowlark have become a go-to jewellery for unique occasion jewellery that expresses love and joy. Delicate floral motifs, curved shapes and beds of nestled stones feature among the new ring styles that are oh so sublime and eye-catching. 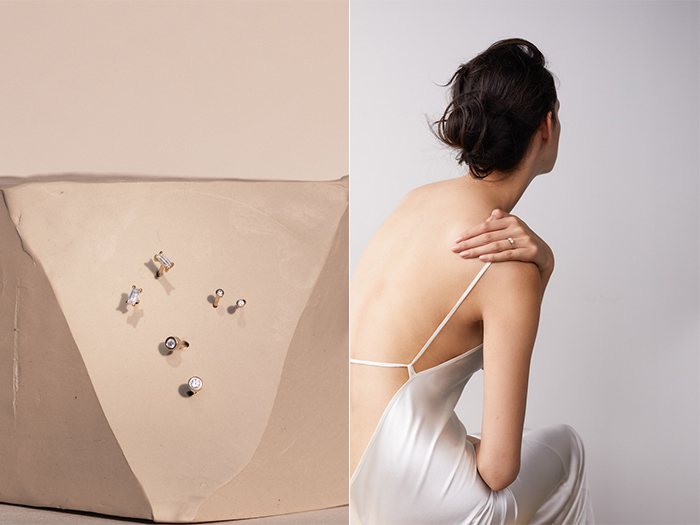 Among the stones in the range are green sapphires and softly pretty morganite that work beautifully with classic white, black grey diamonds. Each band is carefully crafted to be flattering on the finger and able to be stacked if required. Among the new styles is the amazing Dahlia ring with its divinely details petals which is truly a delight. 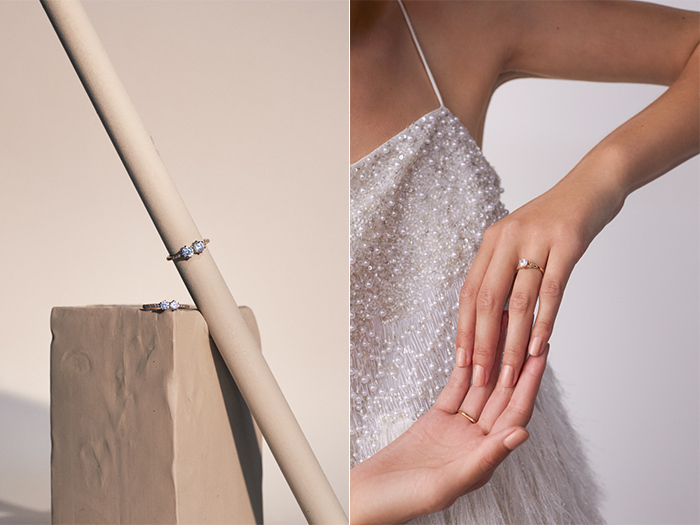 For those looking for something simply but stunning the Monroe and Paloma rings are a minimalist’s dream. The brand have updated some of their classic pieces with the Arrow Band now featuring diamonds that are set halfway around its angled curve. There’s also a square cut Asscher diamond on the Halo Band which is a vintage-inspired update. The new pieces work in beautifully with the existing Ceremonial range with each piece carefully designed to be cherished forever. All Ceremonial pieces are made to order in Meadowlark’s Auckland atelier and designs are available to purchase in their showroom and online.